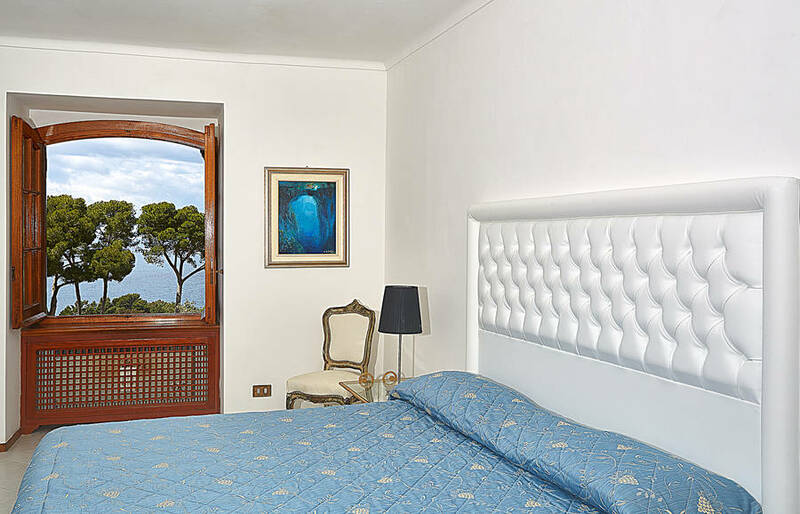 Relais Scalinatella is located at the beginning of Via Tragara, one of the most fascinating corners of the island,. 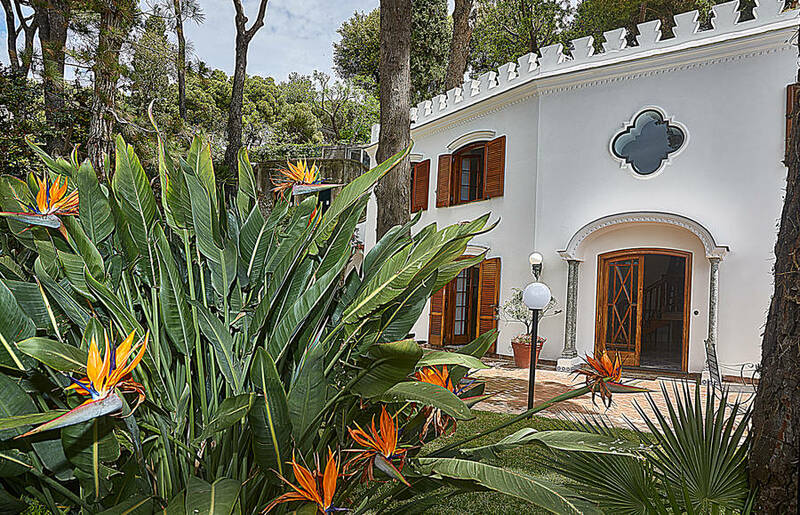 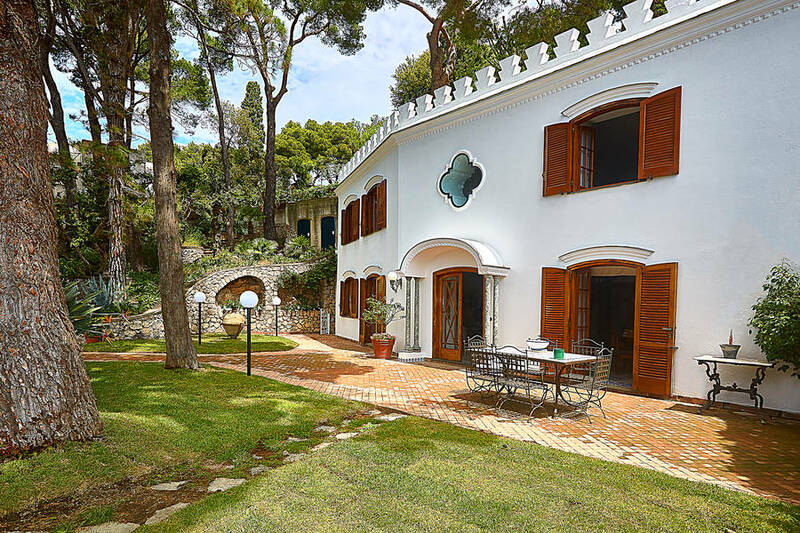 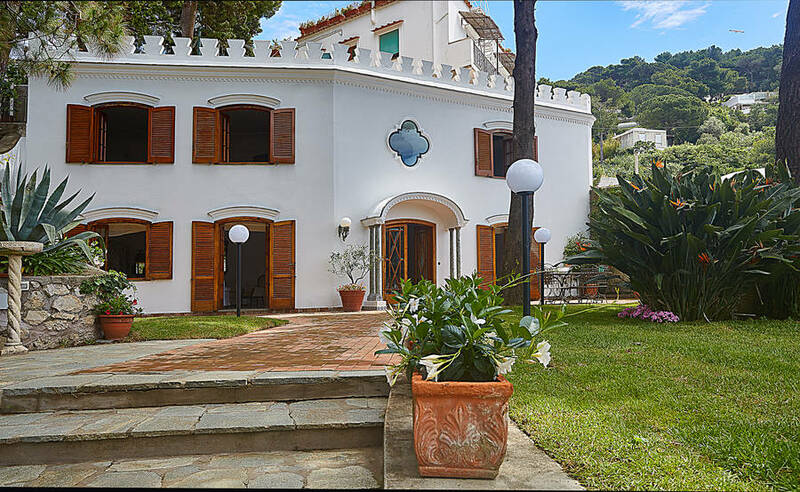 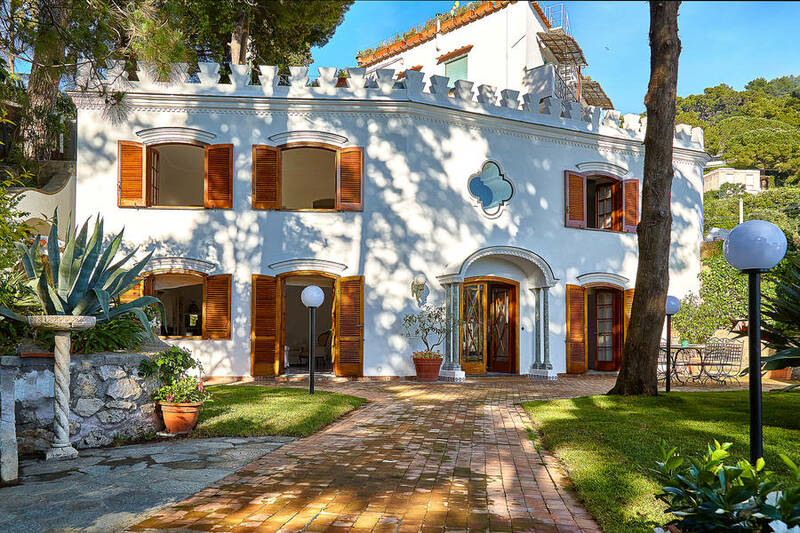 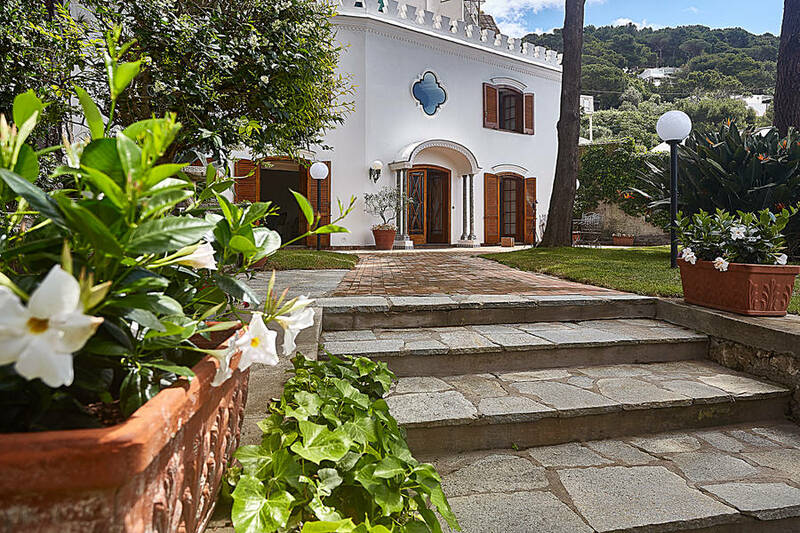 Set in this charming area in the center of Capri, the villa overlooks the bay of Marina Piccola and is surrounded by a lush island garden. 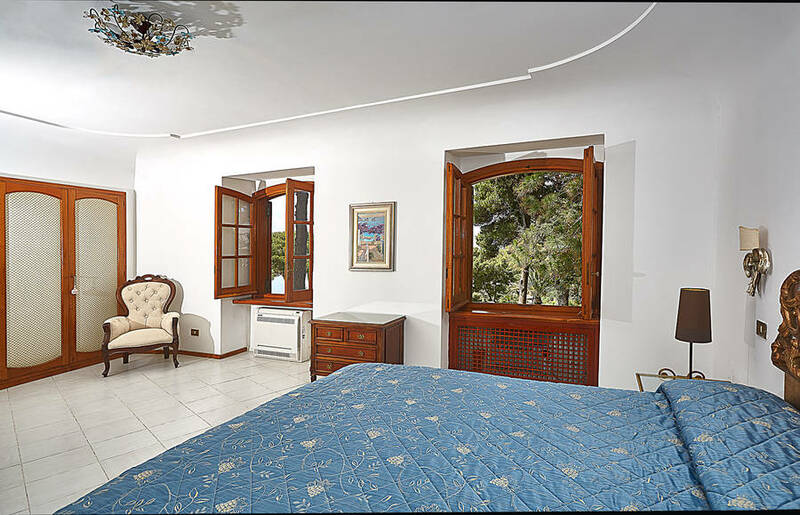 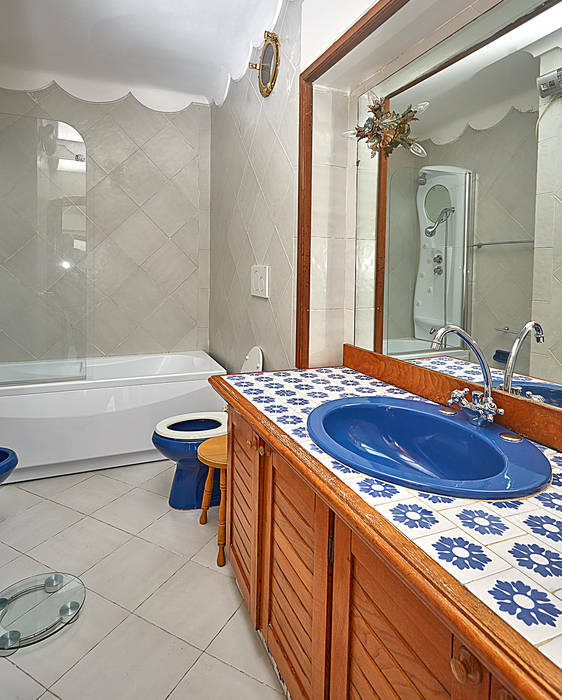 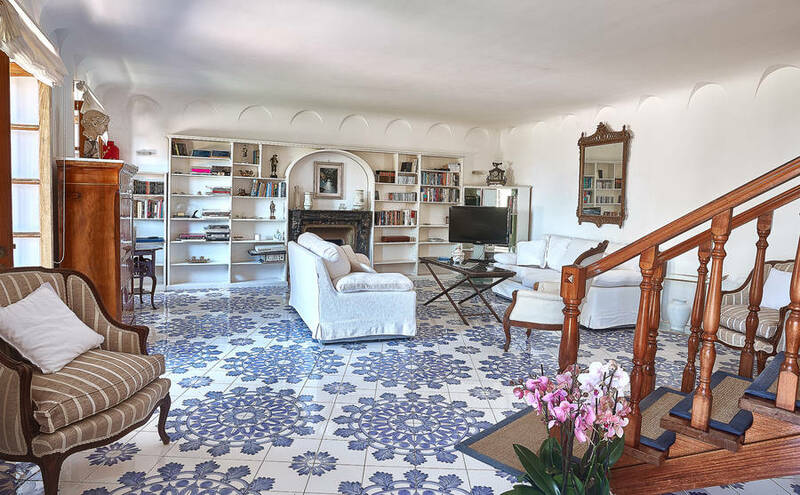 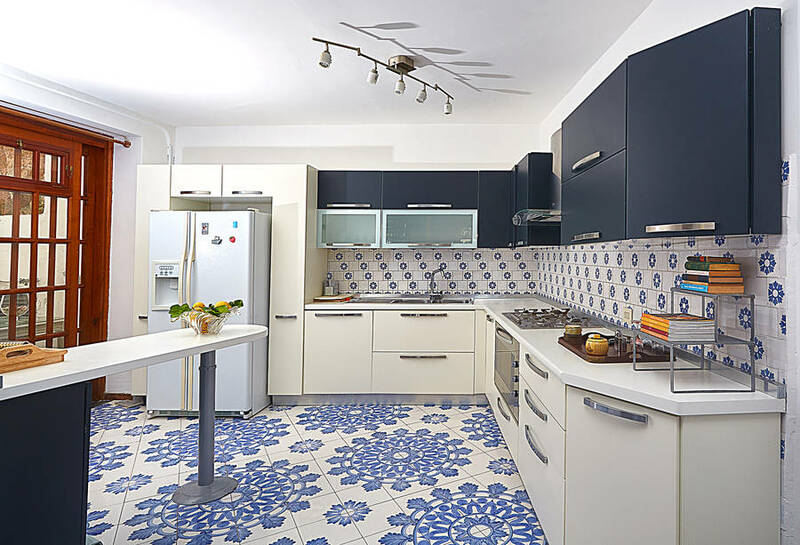 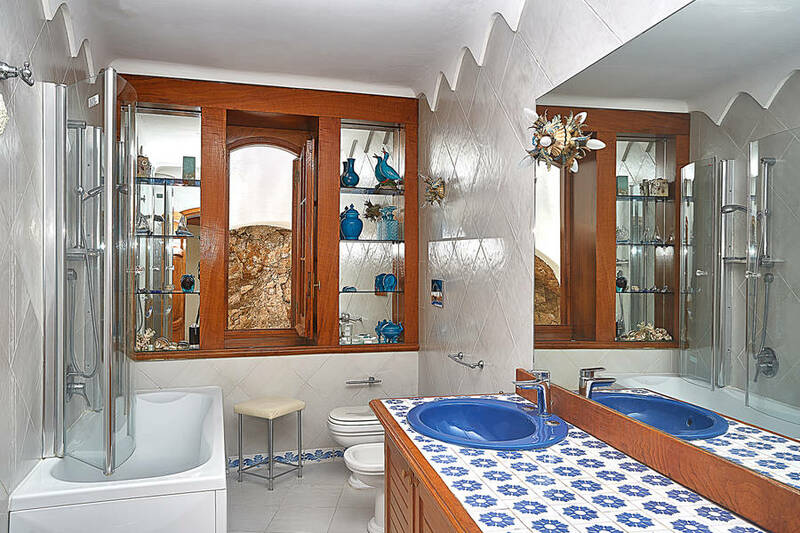 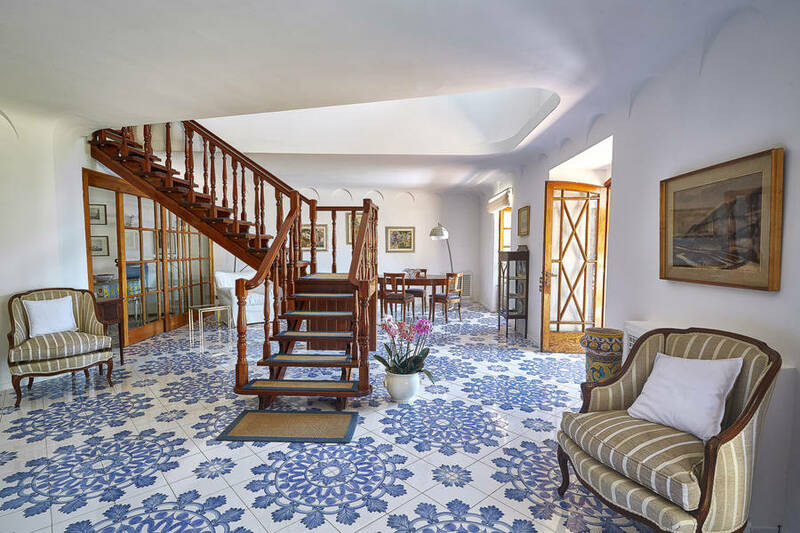 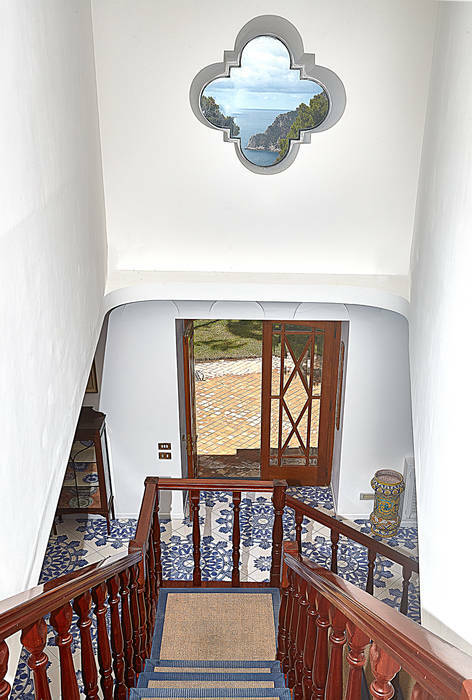 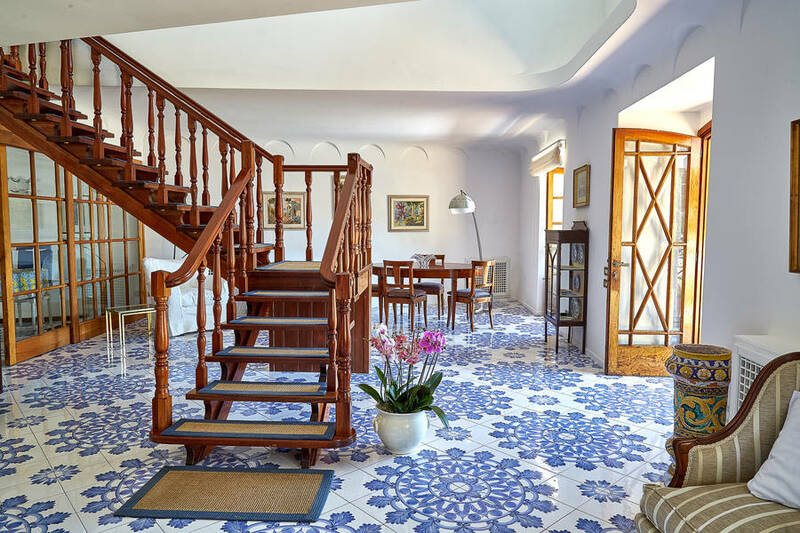 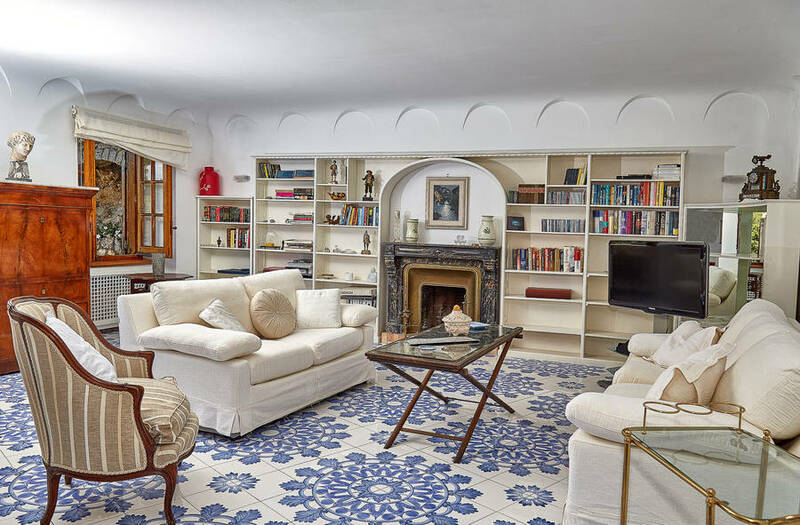 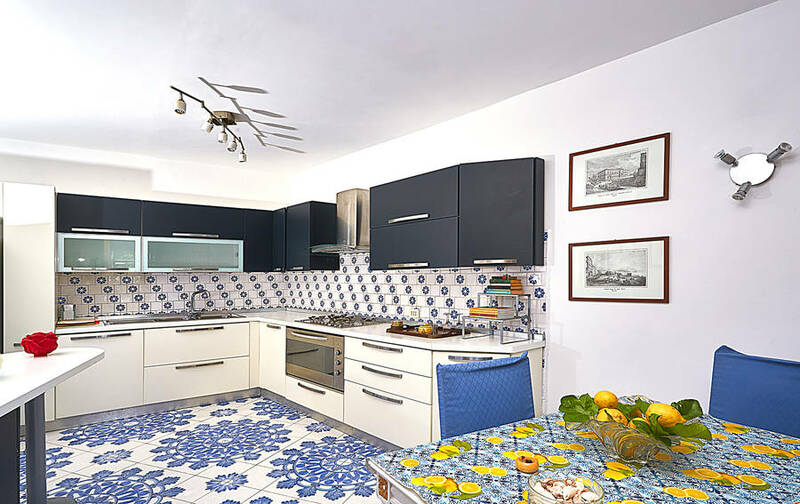 The interiors of this luxurious villa is done in the traditional Mediterranean colors of blue and white and is spread over two levels: on the ground floor, there is a large living area, a dining room, and a fully equipped kitchen; on the second floor, there are two large bedrooms overlooking the garden, each with a spacious en suite bathroom with jetted tub. 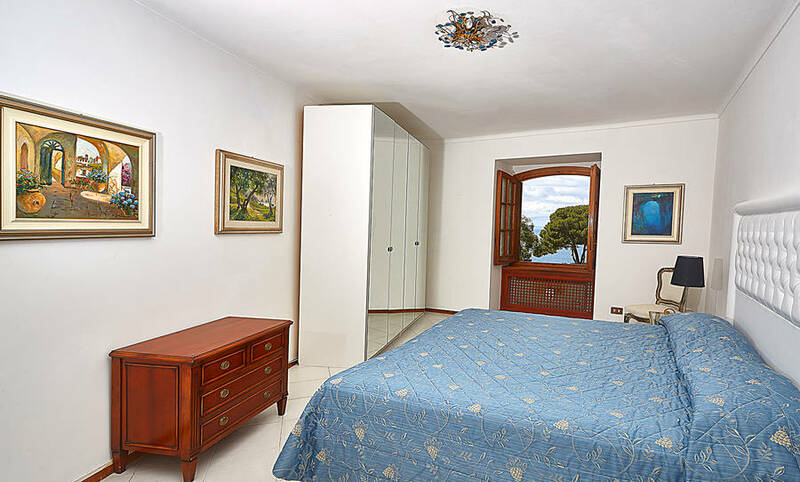 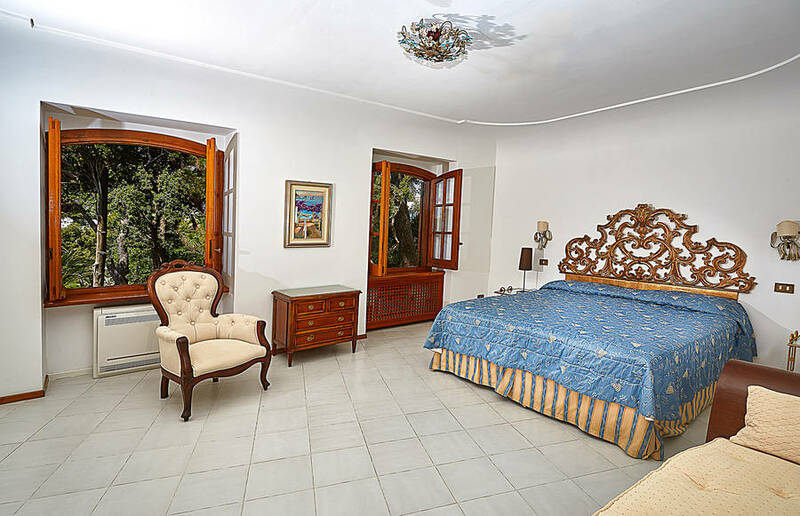 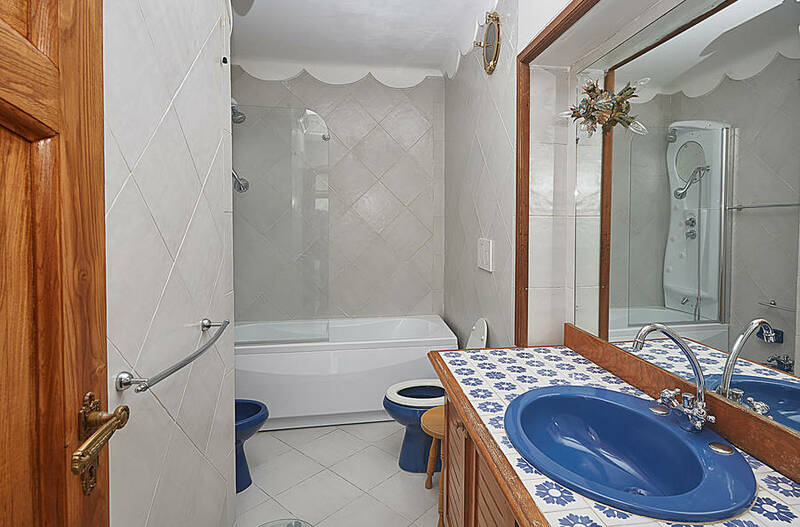 The villa also has a third single bedroom with en suite bathroom for an extra guest. 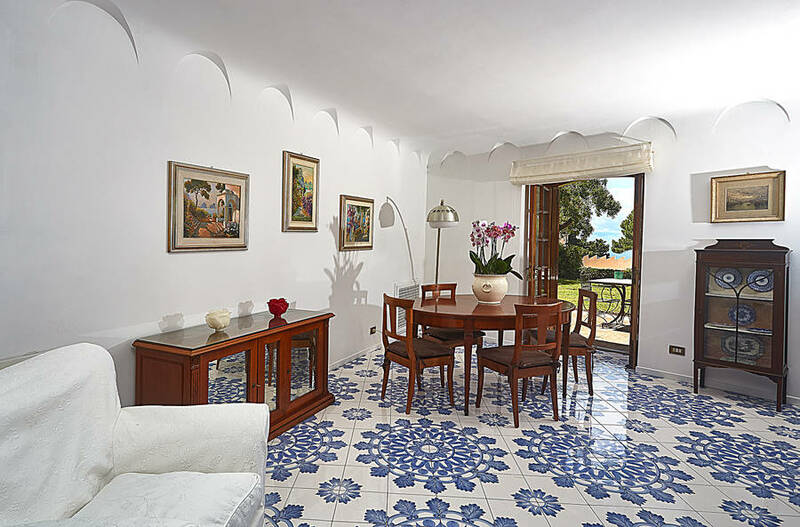 At Relais Scalinatella, guests can enjoy the large outdoor terrace sun deck with sun beds, sofas, and a dining table. 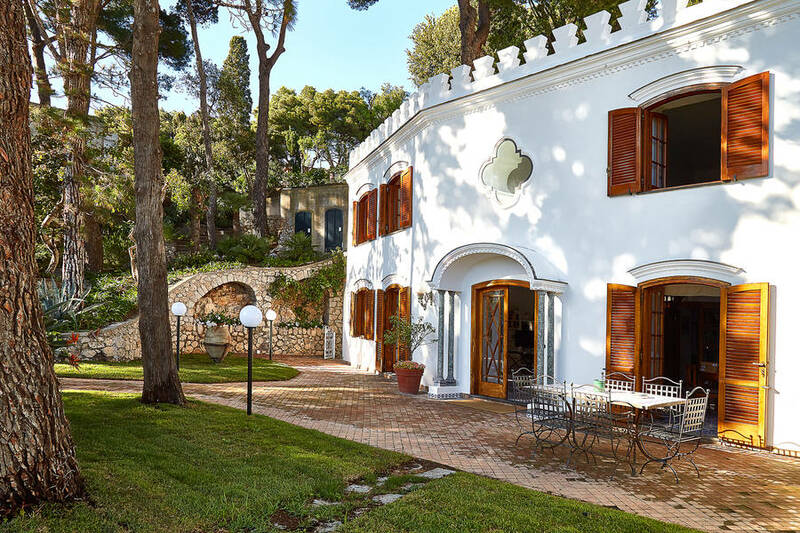 In addition, all Relais guests are welcome to use the services at Hotel La Scalinatella and Casa Morgano, two luxury accommodation nearby that have a swimming pool and gym. 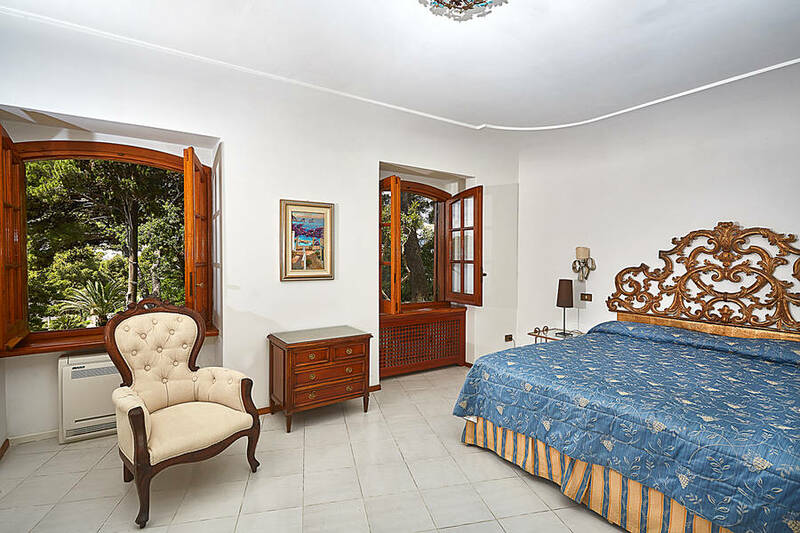 This exclusive residence can accommodate up to 5 people and offers air conditioning, wifi, and a number of other custom services upon request: butler, babysitter, personal chef, and private transfers from Naples or Rome.